Speaking Skills: Should You Memorise Your Speech? When I was in college, my favourite event to participate in during the college festival was the extempore speech competition. We had to choose a chit from a bowl and each piece of paper had a topic written on it. We could think of points for a minute and then speak extemporaneously for 2 minutes. Just one minute of preparation time! And that worked perfectly fine for me since I did not have to write a speech and worse, memorise it! But most of the speaking situations we come across in our lives aren’t like a college competition. Presenting project reports or talking to convince a board about your new proposal would need careful preparation and involve decisions about what exactly you are going to say. Do this now: Pick up any reading material next to you. a newspaper, a book or open a blog of your choice. Choose something, imagine an audience in front of you and start reading to them in your best presentation voice. Next, put away your reading material and tell the imaginary audience the summary of what you just read. What do you notice between the 2 sets of speaking? Didn’t your language and tone of voice change the second time? Moral of the story: Reading is very different from speaking. Memorising your speech also has a stilted effect on your speech. So, should we never memorise our speech? Let’s consider a few examples here. Would you memorise your toast for a friend’s birthday party? Maybe not! You’ll think of a couple of funny anecdotes from your relationship and just go with the flow. It’s just a group of friends and you don’t have to prove anything. Does Obama memorise his speeches? Again, the answer is negative. The president of a country has no time to memorise his speeches and put in hours of practice. But the evolved speaking skills that world leaders possess ensures that they can read a speech written for them off a teleprompter and still make it impactful. What about TED speakers? If extempore is one end of the speaking spectrum, the talks on TED are on the opposite end of knowing the speech by rote. TED ensures that the exact speech is written down and the speakers memorise it down to every last word. And practice it several times! 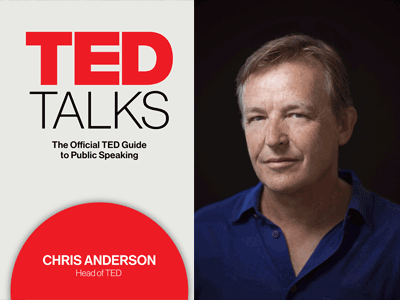 Chris Anderson’s book, TED Talks covers this aspect in some detail. Let’s look at how writing a speech and memorising it is different from spontaneous presentation. I found this video from the older version of public speaking course on Coursera where Prof. MacGarrity beautifully explains how the performance of a written script is different from the communication of spontaneous speaking. – Writing down a full manuscript is a literary endeavour while speaking without it is oral and spontaneous. – A manuscript – since it is written out – will be read or memorised thereby hampering your natural speaking style, whereas a practiced but interactive speech will give more scope for spontaneity. – Writing out a speech and delivering its memorised version can be more nerve racking. A spontaneous speech will be less so since you can adapt and pause depending on the situation. 1. The top reason is the way it’ll change your natural tone of speaking. You will sound robotic recalling each word from memory. 2. If you choose to actually read out your speech/presentation from a script, you will lose precious eye contact with the audience totally alienating them. 3. When you write down something, it’s usually more appropriate for reading. (unless you are as experienced as the speech writer to Obama!) Writing for the ear is an art essential to speaking well and that comes with some practice. 4. Last but not the least, if you were to forget and get stuck with your memorised speech, your whole presentation can get derailed. And your listeners can see through it. – Breakdown your speaking material into chunks that make sense to you and remember the main points and transitions. – Use slides as your cue if you have a ppt and speak spontaneous through the structure you have. – Practice – and I cant emphasise this enough – and know your speech well. Remember when the transitions happen between points and shift your tone of voice accordingly. Even if you write down the speech, the audience cannot see that you are moving to the next point in your script. You’ll have to indicate that with your tone. So the next time you present to people, get the structure of your speech right know what you are going to say well enough. If you wish to learn more about becoming a confident speaker, I have a customised, one-to-one program for you – 5 important steps to become a confident speaker.Whether you want to master the basics or polish your technique, you can choose the skill and I will help you improve. Drop me a line here or tweet to me on @Suman_Kher and schedule a free 20 minute discovery session to discuss your needs.